Now you can restyle your Minecraft buildings giving a new painting layer to the walls. 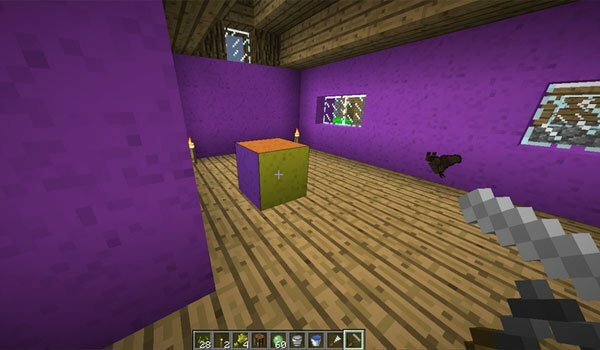 Wall Painter 1.7.2 and 1.7.10 is a mod that adds two new items into the game. The first is a roller which can be used to apply the paint to the walls or at blocks, using the 16 basic dyes of the game. The second object is a paint scraper which will allowyou to remove the paint from a block or a wall. But before painting the walls you need to craft a paint bucket which will be useful to paint up to 50 blocks. You will need to craft a bucket each 50 painted cubes. Are you wondering how to craft this paint bucket? It is very simple: take the deafult cube, an slmeball and three dyes of the color you wish to get. With that in the inventory and holding the roller you can start painting the walls of your buildings in Minecraft. 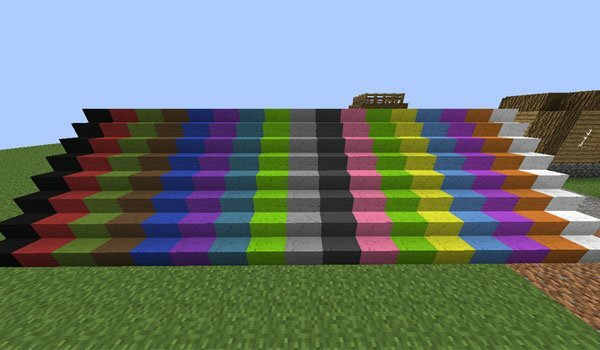 How to install Wall Painter Mod for Minecraft 1.7.2 and 1.7.10? Recolor the walls of your buildings in Minecraft!